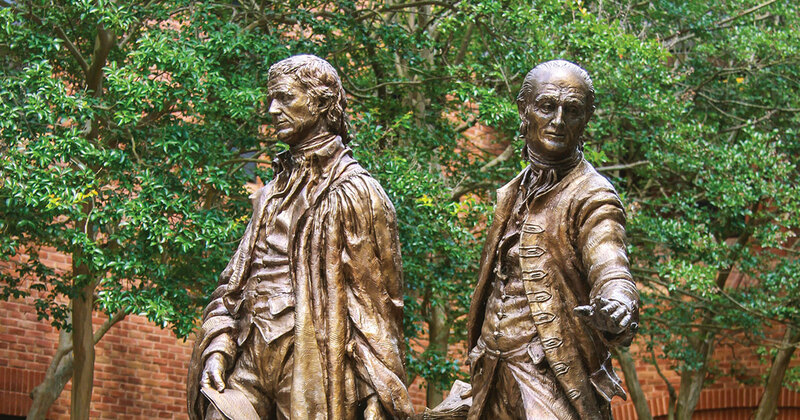 The William & Mary Appellate and Supreme Court Clinic (Appellate Clinic) focuses on First Amendment (free speech and religion) and Fourth Amendment (search and seizure) cases in various federal courts of appeals. The Appellate Clinic is led by Tillman J. Breckenridge, Pierce Bainbridge Beck Price & Hecht LLP, who, with support from his firm, uses his extensive appellate experience as a means to provide students with high-quality, practical knowledge for appellate practice in the federal Courts of Appeals and the United States Supreme Court. The Appellate Clinic creates a unique and highly practical legal experience for William & Mary students. The clinic continuously seeks out cases, prepares briefs, and engages in oral argument. Spring 2019 - Recently, the Appellate and Supreme Court Clinic submitted a brief to the United States Court of Appeals for the Eleventh Circuit on behalf of Christopher Cantu, the personal representative of Robert Lawrence, who was shot and killed by a police officer in Dothan, Alabama. Learn more. July 26, 2018 - The United States Court of Appeals for the Eighth Circuit issued a published opinion in Ross v. City of Jackson, Missouri, in favor of Appellant James Ross, a client of the clinic. The opinion was a unanimous decision, authored by Judge Jane Kelly and joined by Judges James B. Loken and Raymond W. Gruender. Read the news story. The opinion can be read here. January 12, 2018 - The United States Court of Appeals for the Fifth Circuit issued a published opinion in Peña v. City of Rio Grande City, Texas, in favor of Appellant Maria Peña, a client of the clinic. The opinion was a unanimous decision, authored by Judge Jerry E. Smith and joined by Judges Priscilla R. Owen and Stephen A. Higginson. Read the news story. The opinion can be read here. April 21, 2017 - The U.S. Court of Appeals for the Tenth Circuit decided United States v. Soza in favor of Appellant Bradley Soza, a client of the clinic. Read the news story. The opinion can be read here. January 6, 2017 - The clinic argued the case McLin v. Ard in the United States Court of Appeals for the Fifth Circuit. The clinic represents Plaintiff-Appellant Royce McLin. Read the news story. The oral argument can be heard here (.mp3 file). November 8, 2016 - Clinic Victory in U.S. Court of Appeals for the D.C. Circuit (Corrigan v. District of Columbia). Read the news story. The opinion is available here. September 29, 2016 - Clinic Seeks Supreme Court Certification in Civil Case Involving Appointment of Counsel for Indigent Client. Read the news story. Go to the petition (Sai v. Transportation Safety Administration, 16-287). December 11, 2014 | W&M Appellate Clinic campaign finance reform petition featured as SCOTUSBlog Petition of the Day.